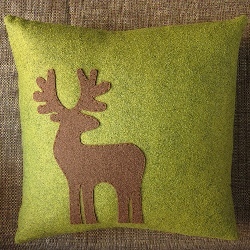 Kat from Just Crafty Enough shows how to make a throw pillow appliqued with a silhouette of a reindeer. The clean lines give it a crisp, modern look while the felt keeps it feeling warm and cozy. Get the template and the tute.